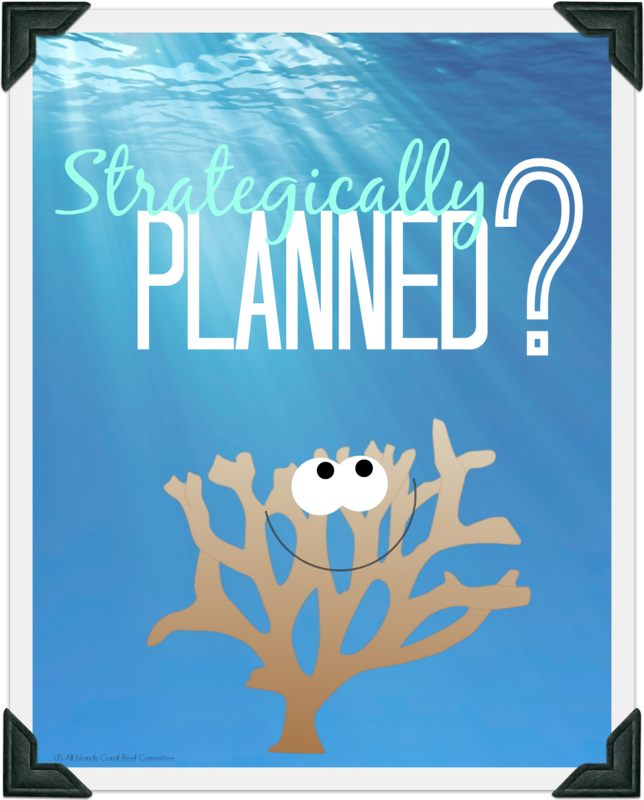 You’re probably scratching your head at the title right now, but at least it got your attention (posts with “strategic planning” in the title probably don’t get a ton of reads). The AIC is once again heading off to cold (for most of us) Washington DC next month for the 33rd US Coral Reef Task Force meeting, and of course, some meetings of our own. A common theme this time around–strategic planning. Admittedly, the thought of strategic planning probably makes you groan a little on the inside. For as much work as is involved and for as many ways you can go about strategic planning, it is absolutely worth it–if done well! The AIC has been working on its strategic plan (a journey that we began in Summer 2013). With committee members in the US Virgin Islands all the way across the Date Line to Saipan, we’ve had to master the art of virtual communications, effective emails and calls, and making the most efficient use of any and all face-to-face time. We’re certainly not perfect, but practice makes perfect, right? The neat thing about our process so far: Our committee members really want a plan that will get us to actual outcomes in the next five years and take us closer to our vision of thriving coral reef ecosystems, effectively managed to protect their ecological, social, and economic value for future generations. And even better we have partners, like the NOAA Coral Reef Conservation Program, Dept. of the Interior’s Office of Insular Affairs, and many others, that want the same thing.